With the technology development of consumer electronics, the whole world is facing serious problems caused by high eWaste flow produced every day. India has already became the 2nd largest supplier of consumer electronic in the world and will become the number 1 in the next few years, Government is working hard to help the recyclers and organization to dealing with eWaste Problems. E-waste recycling market in India is predominantly controlled by unorganized sector due to absence of stringent laws and policy framework. Electronics products in the country are reaching their end of life sooner than expected, which has created immense pressure on the government to come up with appropriate laws to promote eWaste recycling and management. In India, majority of the eWaste is generated by metro cities such as Mumbai, Delhi, Chennai, Bangalore, etc. 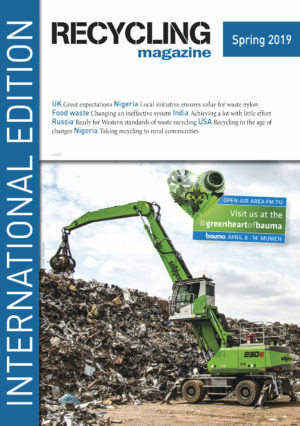 Southern and Western regions, in particular, are driving significant growth in eWaste Management & Recycling market. In 2013, these regions remained the leading contributors in eWaste generation in the country. This can be attributed to high concentration of IT companies, presence of Special Economic Zones, and rapid industrialization. Over the last few years, Mumbai has been the leading eWaste generator, followed by Delhi, Bangalore, Chennai and Kolkata. The Eastern and Central regions are among the most underdeveloped regions in terms of eWaste management due to the lack of consumer awareness and sluggish industrial growth in these regions, This event, now in India will gather together all the players in the supply chains to discuss the policy & market of eWaste in India and globally, EWaste Management in India and globally, circular economy & extended producer responsibility, overseas leading recyclers’ experiences sharing. Global Decision Maker Management Consulting Ltd.